This will likely be the first of a series of posts about other artists I draw inspiration from. 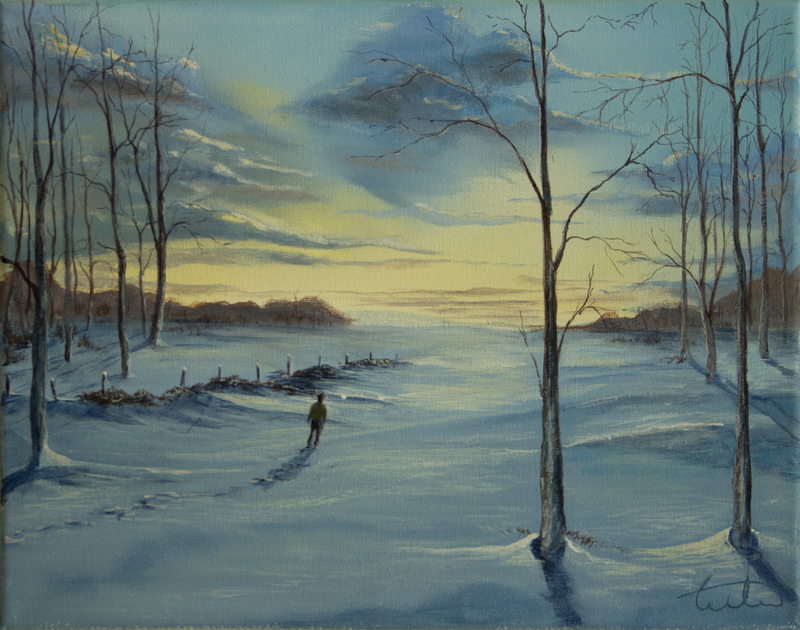 For this first one, I used the inspiration of Alan Kingwell’s work to paint this picture I am titling “Winter Journey”. Alan Kingwell is a UK artist who is self-taught. His work is incredible. You really should check out his YouTube channel and watch him paint or choose one of the videos that show some of his work. 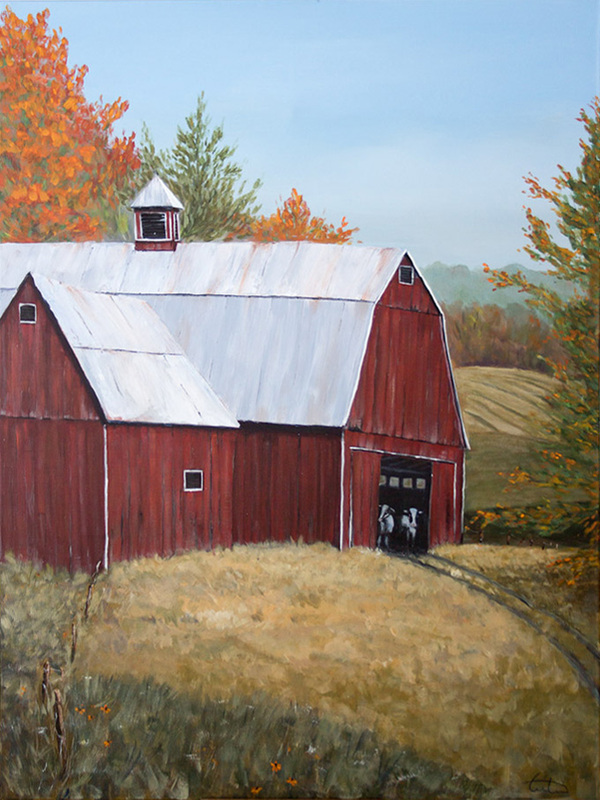 What I like about Alan’s work is the way he captures the light and mood of a place. Whether its the glow of a sunset coming through the base of a wave or the light filtering through a winter woods, he manages to really make the light seem alive. His seascapes are just amazing! I was reminded tonight, while watching a time-lapse painting on youtube by fellow artist Brandon Schaefer, of a problem I have been having recently, and often have. I suspect its one shared by many who start to explore art in its various forms. When am I done, when do I stop? Every now and then I work on a piece and it all seems to come together and I know just when to stop. But sometimes, I just can’t seem to find the finish line. There is always something that needs adjusting, repainting or rethinking. While watching Brandon do his latest piece I noticed he repainted the water, the sky, the mountains in the background, and other elements multiple times as he progressed. And he has painted many hundreds of paintings and has been posting on youtube for 3 years (or so!). The painting came out great. It was comforting to see. I think every artist, whether just starting out or a seasoned pro, struggles with the urge to make every effort something they can be proud of, hang on a wall, or possibly sell. Its hard to spend limited time and effort and not have expectations. However I have yet to meet an artist who if asked why they became an artist their response would be “to get rich”. Most of us explore our art because we have something inside that we need to express. Art, in its many forms, is fun. Creating things that elicit a response, within us or others, brings satisfaction. It’s easy to lose sight of this when confronted with limited time to pursue art. The creative process needs to be fun, and I’ve met many artists who found the most success with the work they did for themselves. Stuff that they didn’t think would appeal to others conveyed greater emotion and lead to greater success, in sales or commissions, than the stuff created for that purpose. So its good to remember to give ourselves permission to have fun. Paint something new, try a new technique, and remove all expectations that the result will be worthy of anything more than painting over. Better yet, enter into it expecting to not be happy with the result. The goal is to play.